Once you have dried some fresh limes, you can explore all of the amazing Middle Eastern and Persian recipes that use this wonderful ingredient. 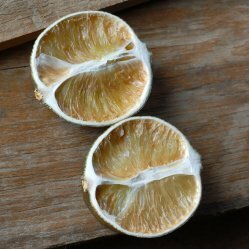 This page contains recipes using dried limes. This slightly sour tea is a very simple drink to make. Like ice tea, it is a refreshing summer beverage. Break the limes into a few pieces. You can use a mortar and pestle for this. Put 4 cups of water in a saucepan. Add the lime pieces and bring to a boil over high heat. Then reduce heat to medium-low and simmer for 4 minutes. Remove from heat and strain, using either a coffee filter or cheesecloth. Add the sugar to the tea and stir until dissolved. You can drink it hot or you can cool it to room temperature and then refrigerate.